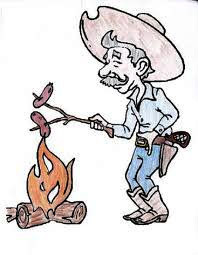 The temperatures will be hot and the competition hotter this weekend at the Eddy County Fairgrounds as Artesia hosts the Seventh Annual Devon Energy Smokin’ on the Pecos New Mexico State BBQ Championship. Over the past several years, Smokin’ on the Pecos (SOTP) has become one of the region’s premier professional barbecue events, drawing competitors from throughout the country. Its significance has increased further in 2018, as SOTP now stands as New Mexico’s only nationally-sanctioned barbecue event. The professional competition will, once again this year, be a double header, giving teams two shots at a title Saturday and Sunday. For those who aren’t quite ready for the majors, Grousnick says SOTP’s popular Backyard Barbecue amateur competition has signed up a record number of teams thus far and is still accepting entries. Future grill masters can also get in on the action tomorrow afternoon with the Kids’ Q competition, and those whose expertise lies away from the grill can opt to enter Friday’s Dessert Competition, Guac-Off, or Anything Goes Discos. Awards will be presented at 4 p.m. Saturday and 3 p.m. Sunday. SOTP will open its gates to the public at 5 p.m. Friday and 11 a.m. Saturday, with food vendors on hand to tempt attendees’ taste buds and a trade show and beer garden also available. For the rodeo set, Saturday evening will also feature bull riding. Hungry guests will not need to purchase poker chips to buy from the vendors, but food service will be cash-only. And while the professional teams are not among those selling food, Grousnick says the public is encouraged to wander through the competition area, where a friendly hello and well-placed compliment can often earn a taste of the wares. And while the ‘cue is obviously the main event, the entertainment has become another draw at SOTP. This year’s concerts will feature the Cody Bryan Band at 5:30 p.m. Friday, opening for The Long Run – one of the highest-rated Eagles tribute bands in the country – at 7:30 p.m. At 5:30 p.m. Saturday, Wild Card of Las Cruces will take the stage, followed by The Tejas Brothers at 7:30 p.m.
Tickets are $10 in advance at brownpapertickets.com or $15 at the gate. Also, as a special treat for the kids, Mater and Lightning McQueen will be on hand for photo ops Saturday. “We’re excited,” Grousnick said. “It seems to continue to grow every year, and right now, we’re at 44 professional teams. The top three money-winners from last year aren’t attending, so the competition should be interesting. Those still interested in entering any of the competitions may visit www.smokinonthepecos.com or call Grousnick at 575-513-4291.